According to the United States Department of Energy, your water heater is the third biggest energy-draining appliance in your home. The setting of your water heater contributes to the overall expense, but many people don't know what the average temperature is for safe and efficient operation. The water heating setting is adjusted via the thermostat on the appliance. The thermostat is a round knob, usually located on the side of the water heater, toward the bottom. The knob markings vary by manufacturer, but usually include temperature ranges from 100 to 140 degrees Fahrenheit. 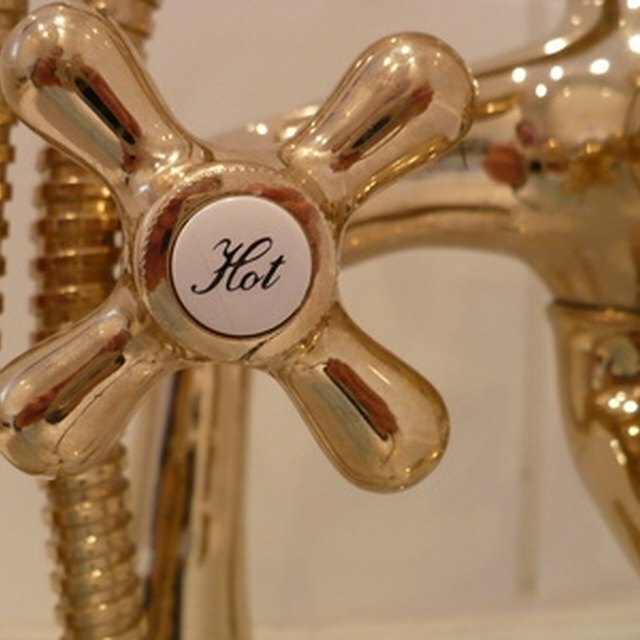 The average electric water heater setting recommended by the US Department of Energy is 120 degrees Fahrenheit. Water at this temperature is hot enough for most uses, while still providing protection against scalding risks. Lowering your electric water heater thermostat saves up to 5 percent in energy costs for every 10 degrees of adjustment downward. However, if your dishwasher does not have a built-in heating element, it is advisable to keep your water heater set between 130 and 140 degrees Fahrenheit. What Are the Freezer Settings on the Kenmore/Amana Refrigerator Freezer?